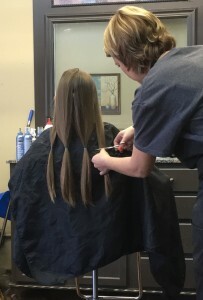 First hair donation! Go Addie!! A little girl Thanks you for her new hair! Want a new Look? Want to Help a Cancer Survivor? WE GIVE $100.00 in Your Name! Links des Pink would love to help you and a cancer survivor. You can help if you or someone you know is thinking about donating hair to make wigs for Cancer Survivors. During the months of March through June 2016 we will be donating $100.00 to be sent with your donation of hair. The donation is to help defer the cost of making the wig. According to Pantene it takes a 8 to 15 ponytails to make one wig. The cost of making a human hair wig costs $1,500 at a minimum. 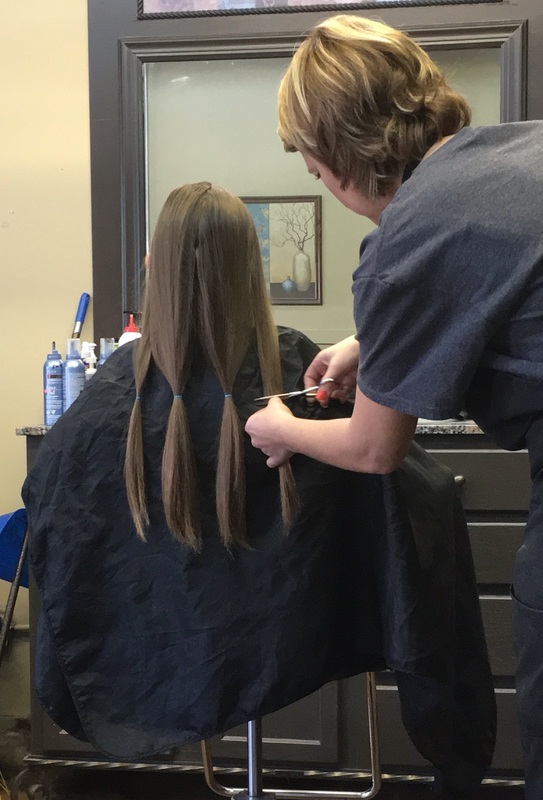 There are several places to donate hair – Pantene Beautiful Lengths, Wigs for Children & Locks of Love are a few. Each company has different requirements for the hair to be donated which will be listed below, as well as the differences of how the wigs are distributed. You chose the organization that best fits your donation and Links des Pink will send a $100. with your hair. 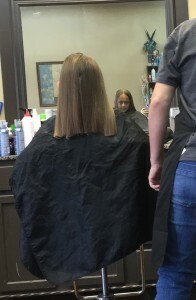 "Donate Your Hair & We will Donate $100" was published on February 29th, 2016 and is listed in Blog, Donations, facebook, Uncategorized.